Supported by our qualified professionals, we are engaged in offering a wide range of Sony Projector. This product is manufactured using premium grade components and latest techniques by our vendors. 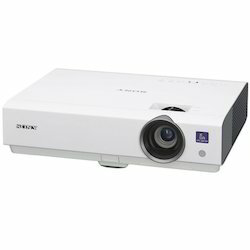 The offer qualitative range is tested at our vendors' end on various parameters to ensure its trouble free functionality and lowSupported by our qualified professionals, we are engaged in offering a wide range of Sony Projector. This product is manufactured using premium grade components and latest techniques by our vendors. The offer qualitative range is tested at our vendors' end on various parameters to ensure its trouble free functionality and low power consumption. Beside this, our product is available in varied sizes, models and designs.